About a month and a half ago, the Green Bay Packers were sitting outside of the NFL playoff race with a 4-6 record. Quarterback Aaron Rodgers, he of the “R-E-L-A-X” mantra a year ago, decided that the Packers faithful needed some encouraging words of wisdom from their leader. He told reporters after their loss to the Washington Redskins that he believed the team could “run the table” and salvage their season. Five weeks later, Rodgers and the Packers have the sixth playoff spot in the NFC and, if they win their final two games against the Vikings and Lions, will win the NFC North. The “run the table” statement needs only two more victories to come true. Each of the 32 NFL teams have played 46 games that represent Games #11 through #16 each season since 2009 (obviously we have not played Games #15 and #16 this season). 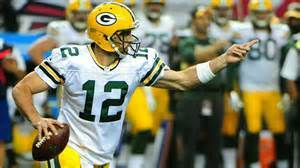 The Packers have the second best winning percentage of the 32 NFL teams in Games #11-#16 since 2009 at 32-13-1 (a 707 winning percentage). The only other team that has won over 70% of their Games #11 through #16 since 2009 are the New England Patriots… they top the league with a 35-11 record (.761 winning percentage). Here’s a look at the winning percentage of the 32 NFL teams in Games #11 through Games #16 since 2009. New England .761, Green Bay .707. Pittsburgh .696, Carolina .652, Baltimore .630, Indianapolis .630, Seattle .630, Cincinnati .609, San Diego .609. Atlanta .565, Denver .565, New Orleans .565, San Francisco .543, Dallas .522, New York Jets .522, Philadelphia .522, Arizona .500. Minnesota .489, Houston .478, Kansas City .478, New York Giants .478, Buffalo .435, Miami .435, Detroit .413. Tennessee .391, Chicago .370, Oakland .370, Washington .370, Los Angeles Rams .326. Jacksonville .261, Tampa Bay .261, Cleveland .239.